Hot water pressure washers use an oil burner to heat the outgoing water. The water is heated after it has left the high-pressure pump and the unloader. This keeps the hot water from affecting those components. Many people confuse by-pass thermal damage with heat generated by a malfunctioning burner, but the two are not related. The burner system creates heat at a rated amount of BTUs, and that heat is then transferred to the water through the pipe of the coil. The amount of heat generated is controlled by the amount of fuel being burned per minute. The oil pump pressure and the oil nozzle size control the fuel amount. To efficiently combust the fuel, the air supply must be sufficient, and ignition must be provided. The more water that flows through the coil per minute, the more BTUs are required to heat it to the desired temperature. The three common voltages that oil burners are supplied with are 240-volt, 120-volt, and 12-volt. A 240-volt oil burner typically found in a fixed location that can supply that amount of voltage, and would not normally be found in a mobile wash environment. A 120-volt system would be in either a fixed location, or utilized with a pressure washer equipped with a generator to supply the needed power. Using a 12-volt burner eliminates the need for a separate generator on a mobile unit. This burner can draw power from the engine charging system. Lets look at the advantages of the 12-volt burner in a mobile pressure washer. The most obvious advantage would be the elimination of the separate generator. This reduces to cost of the pressure washer. It also allows for a smaller engine because a generator requires one to two horsepower to generate the electricity. When eliminating a major component, there is one less thing to maintain and repair. Units that do have a generator are belt drive to allow one engine to transfer power to both the pump and the generator. 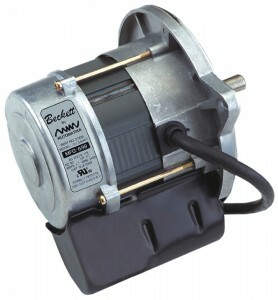 A 12-volt unit provides the option of gear drive. Gear drive units can be more compact then belt drive units. Belt driven generators used on pressure washers weigh around seventy pounds. A small advantage is gained in vehicle fuel consumption without this weight. There a only a few disadvantages to the 12-volt burner system. It is important that the engine charging system produces enough voltage to continuously supply the burner, along with providing the power required by the engine. The minimum charging system used to successfully operate an oil burner on a pressure washer is 16-ampere; to be safe a 20-ampere or larger charging system is recommended. The cost of a 12-volt burner, as well as the cost of many replacement parts is higher than that of a 120-volt unit. This of course is offset by not having to buy and maintain a generator. Whatever power source is used, that source provides the electricity than powers the burner motor, the ignitor, and the switches and valves related to burner operation. If the equipment has a wiring diagram, follow it through to gain an understanding of the electrical flow. If the equipment doesn’t have a wiring diagram, follow the incoming power to determine the path of the circuits. The power generally comes through a circuit breaker or a fuse before entering the burner housing. The wires are accessible when the transformer / ignitor is unscrewed and folded back on its hinge. First find the power cord wires and follow them to the first grouping of wires. At this point the burner components that run constantly will be connected in one circuit, while other components that are controlled by the switches will be wired in another circuit loop. If the burner is wired in the most common way, the transformer/ignitor and the burner motor will be wired directly to the incoming power cord so that anytime power is supplied to the burner they will be on. The secondary circuit will be made up of all the switches and the fuel solenoid. These control components will be wired in a loop. An example of this loop would be, incoming power black to wire one of the flow switch, flow switch wire two to high limit switch wire one, high limit wire two to thermostat wire one, thermostat wire two to fuel solenoid wire one, fuel solenoid wire two to incoming power common (white). If any switch or solenoid in the secondary circuit fails, the burner doesn’t ignite, but the components that are wired directly to the incoming power that are not affected by the secondary circuit will continue to operate. If there isn’t a wiring diagram, mapping out the wiring of a pressure washer isn’t a bad idea. Without a wiring diagram or map, remember this one piece of advice above all else, don’t disconnect the burner wiring without recording how it was connected. On way to keep the wiring straight is to label them with small pieces of tape with numbers. As you label each wire, record on a piece of paper, which number wire, reconnects where. If you disconnect all the wiring without mapping it out, it can take a long time to figure out, but looking on the bright side, it can be an excellent learning experience. The transformer or ignitor provides an ignition spark for the fuel. The incoming electricity is stepped up to a higher voltage then delivered to the area of the fuel nozzle by electrodes. A spark jumps between the tips at the end of the two electrodes, which ignites the atomized fuel as it emerges from the nozzle. 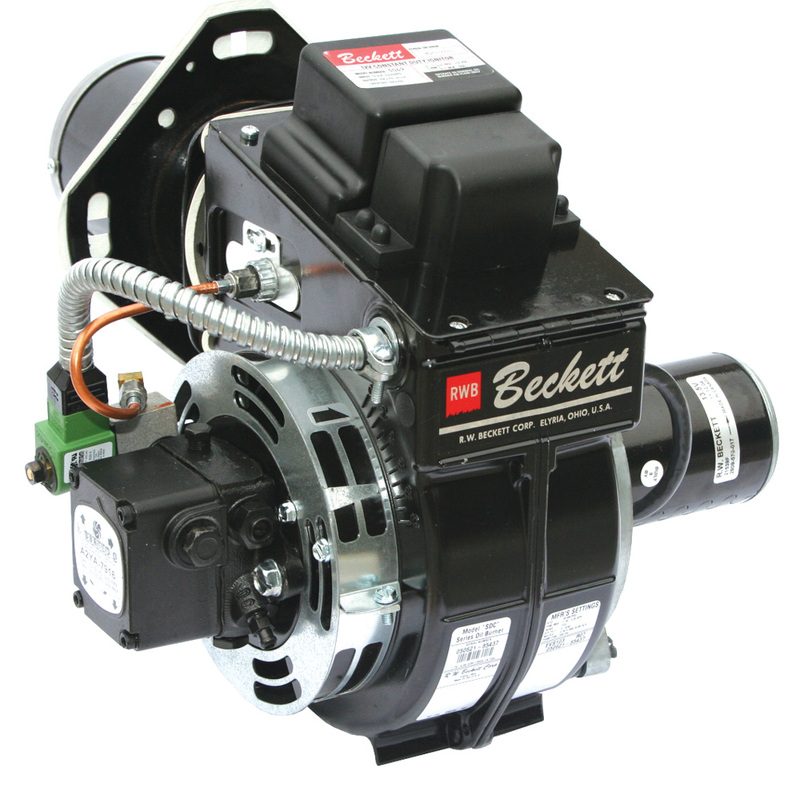 Most burner motors used on pressure washer burner units are ¼ or 1/5 horsepower. 12-Volt motors are physically smaller than 120-volt motors. They all have a mounting plate that allows for bolting to the burner housing. Most burner motors turn at 3450 RPM. The fuel pump on the oil burner is normally a 3450-RPM pump that is driven directly by the motor. The motor shaft is connected to the pump shaft with a flexible coupling. This coupling is designed to strip in the event of a pump freeze up. There are two ways that a fuel pump on an oil burner can be plumbed. With one fuel line from the tank to the pump, or with a return line that circulates the fuel back to the tank when it isn’t burned. For lubrication purposes, it is important for a fuel pump on a burner that doesn’t fire for long periods to have a return line. The fuel pump continually pulls fuel from the fuel tank, then cycles it back. 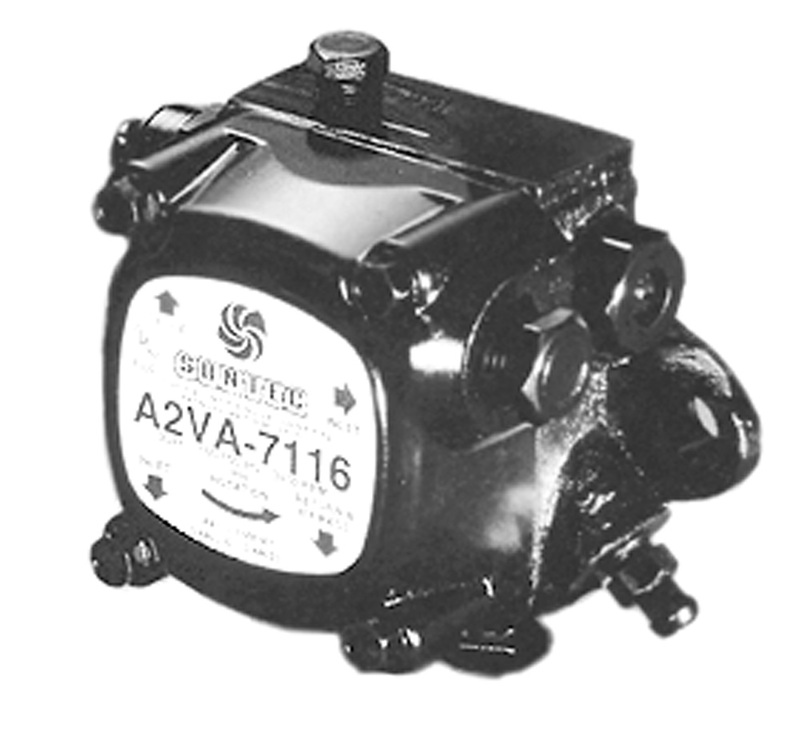 A fuel filter installed on the inlet line assures that no contaminants reach the pump. When the burner is firing, the fuel is pushed out the pump outlet port and through the fuel solenoid. From there the fuel is plumbed directly to the fuel nozzle. The nozzle is designed to atomize the fuel and spray it in a cone shaped pattern that ignites easily and burns cleanly. The burner nozzle is designed with a filter that provides a last second chance to trap any debris that may have escaped the first fuel filter. An extremely small particle will block or impede the flow of fuel through the nozzle. For proper combustion, the burner fan must supply the correct amount of air to mix with the fuel. Most burners have the fan inside the burner housing with visual access gained by folding open the ignitor on its hinge. 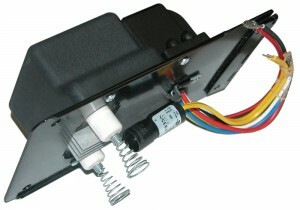 The fan is attached to the burner motor shaft with an allen-type set screw. This fan is called a squirrel cage fan. Airflow adjustment slots are located on the outside of the burner housing. One has two slots and consists of a band that wraps around the circumference of the housing. The other is a disc that is located on the housing facing. Both can be adjusted after loosening the setscrews that hold them in position. When the airflow on the burner is correct, as long as there aren’t any other problems, the burner will burn cleanly, producing no visible exhaust. Closing down the adjustment slots too much restricts the airflow, and the burner will smoke. Opening up the adjustment too much can cause the fuel nozzle spray pattern to be compromised, causing poor fuel ignition and smoke. If adjusted out more, the air can actually blow out the flame and keep it from igniting again. Anytime adjustments are made, remember the original setting so any adjustment that doesn’t result in an improvement can be reversed.